WE Day Community: Baltimore brought together 2,000 students and educators Wednesday at the Hippodrome Theatre to recognize those across the state who are making a difference in their local and global communities. 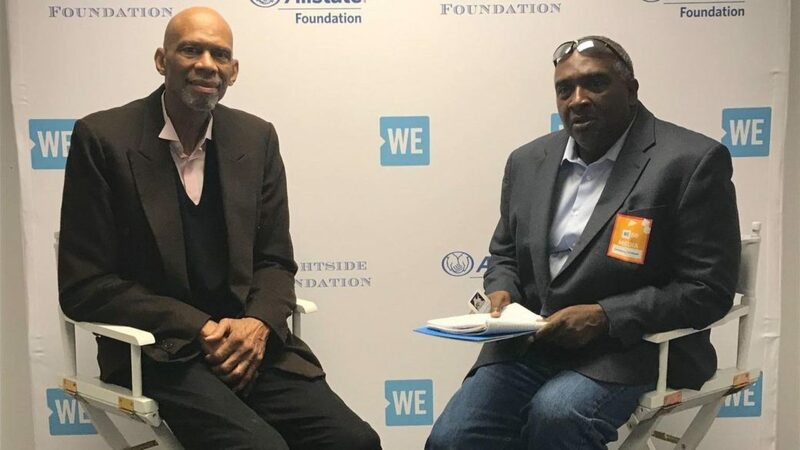 One of the featured speakers was Hall of Fame basketball player and Los Angeles Lakers great Kareem Abdul-Jabbar, 71, who sat down for an interview with The Baltimore Sun. You’ve always been out front as far as social issues. Are you happy with the progress of present NBA players stepping up and doing similar work? Yeah I am. I think that they’re taking a look at it and they are using a little bit of caution. You’ve got to be very careful when you step out in public like that and you start declaring your activism. You have to understand what you want to achieve and how you want to say it. So as you’re going around the country, what are some of the issues you might address in the near future? I think for the players, it’s the things that are happening in their communities. To me, it’s Tamir Rice and how [police] executed a 12-year-old kid for no good reason. That was a blatant and obvious miscarriage of justice and the guys, they want to make their voices heard, so I’ve got nothing but respect for what they doing and how they’re doing it. Are you tutoring or working with young players about working in their communities? Not classes. For example, I went up to talk to the [Seattle] Seahawks. Seahawks coach Pete Carroll wanted me to talk to them. I did a Q&A with just giving them an idea of how to do it. There are things that you see that may infuriate you, but you just don’t go in front of the public just to express your anger. You let people understand what you have to say makes sense and there are some changes that need to be made. That’s really what the guys are saying. They’re not trying to make an overly annoying statement, but people have to listen. What’s your message today to the kids out there? That community is awesome. The people that are around you now that live in your town and in your community, those are the people that are going to make or break your life. What you guys do together, the whole idea to emphasize community, I think that is a great thing and it enables people to feel included. When you do that, good things happen. Let’s switch gears here a little bit — Magic Johnson resigned as Los Angeles Lakers president of basketball operations Tuesday. Were you surprised? I was just as surprised as everyone else. I had no idea that he might not be happy — he’s done a great job. It’s sad, and it’s kind of hard for me to figure out what it’s all about, but obviously it just wasn’t working. So what do you think happens with the Lakers from here — what kind of moves do they need to make in the offseason? I think what needs to happen is that they are going to have to get somebody at the top and keep working from there. They have to get all the right people in place, the guys who can make the right decisions. When you look back at the game, what are the changes that you see, good or bad, and what do you see in the future? I think when they changed the rules for no hand-checking, it made it possible for more 3-point shots. Fans love that and it changed the game, made it more interesting in that sense. So I think the game is in good shape in terms of fan appreciation. The league seems to be balanced. Nobody knows for sure who’s going to win. How about the Golden State Warriors? Golden State has probably been the principal team that’s made everybody aware of the way that the game is going with their effective outside shooting, so I think that they’re still the front runner. But you’ve got a number of teams now that are coming out of the blue. Milwaukee’s doing very well, and Utah and Denver out in the Western Conference. Nobody expected them to be vying for the top position. I think that’s pretty interesting and the fans are probably very much behind those teams. Who are five greatest players you ever played against? Do you have a top five? I couldn’t do that. I played against so many great players, so it’s hard. I played against Elgin Baylor. I played against Bob Cousy — I can go back that far. I hate to compare Bob Cousy with Michael Jordan, they played two different games. So what was the key to your longevity? 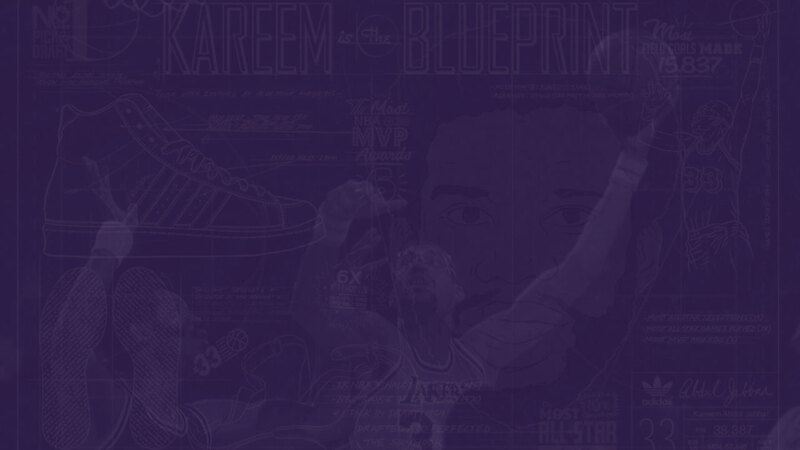 I think I was willing to do the work in the offseason to stay in shape and seeing how I couldn’t find another job that paid like playing for the Lakers, I stuck with it as long as I could do a good job. How about now — are you in pretty good health? You’re making the circuit. Yes, I’m in pretty good health and I’m having fun. I get to write and get to talk to young people about their lives, it’s a good situation. Since grad school. I’ve published 15 books and I have another one that will be out in September. I write about things that are important to me, like social issues. I have written a book about Sherlock Holmes and now one about Mycroft Holmes and it’s a trilogy of books talking about Mycroft’s back story. Overall, have you been happy with your life and what will be your legacy as a player and a person? Yep, I couldn’t have had a better life. Might have won a few more games here and there, but I have had a wonderful life. As a player, I played the game at a very high level. I hope people can appreciate and respect that. As a person, just the legacy I leave my children. The fact that they’re doing well and living good lives, that’s probably the most important thing in my life.